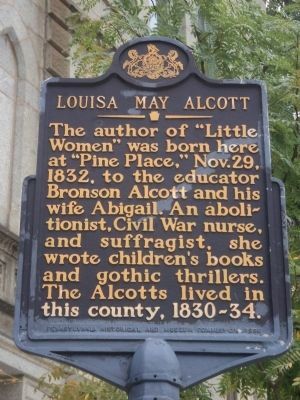 The author of “Little Women” was born here at “Pine Place,” Nov. 29, 1832, to the educator Bronson Alcott and his wife Abigail. An abolitionist, Civil War nurse, and suffragist, she wrote children’s books and gothic thrillers. The Alcotts lived in this county, 1830-34. Location. 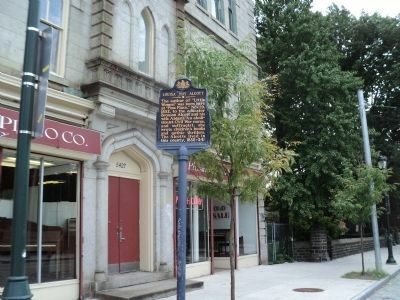 40° 2.022′ N, 75° 10.285′ W. Marker is in Philadelphia, Pennsylvania, in Philadelphia County. Marker is on Germantown Avenue, on the right when traveling north. Touch for map. 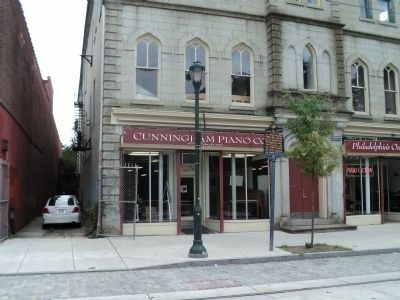 Marker is at or near this postal address: 5427 Germantown Ave., Philadelphia PA 19144, United States of America. Touch for directions. (about 400 feet away); Delplaine House (about 500 feet away); Christopher Saur (approx. 0.2 miles away); Christopher Sower (approx. 0.2 miles away). Touch for a list and map of all markers in Philadelphia. 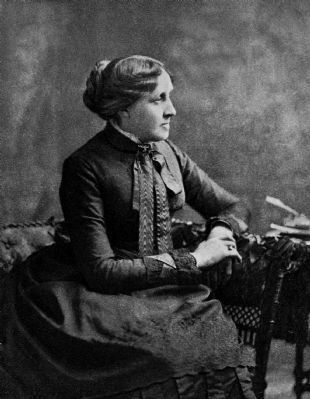 This image was published in the book Louisa May Alcott, Her Life, Letters and Journals. More. 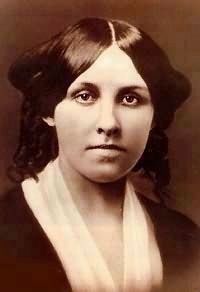 Search the internet for Louisa May Alcott. Credits. This page was last revised on October 27, 2018. This page originally submitted on September 3, 2011, by Bill Coughlin of North Arlington, New Jersey. This page has been viewed 727 times since then and 20 times this year. This page was the Marker of the Week September 29, 2013. Photos: 1, 2, 3. submitted on September 3, 2011, by Bill Coughlin of North Arlington, New Jersey. 4, 5. submitted on September 29, 2013, by J. J. Prats of Powell, Ohio.